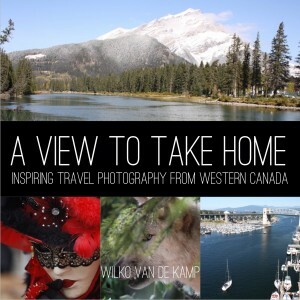 The book is now available through www.viewtotakehome.com as well as Amazon. A View to Take Home will be available through book retailers worldwide (including Amazon Europe, Amazon Canada, Barnes & Noble, and many others) in the last quarter of 2014. Books are shipped within 1-2 days and make a great Holiday gift. WILKO VAN DE KAMP is an award-winning photographer and photographic artist, author of “The Freedom Project“ and professional world traveler. His inspiration comes from traveling all over the world. He calls the Canadian Rocky Mountains his “home”, and the rest of the world his “office”. He has been capturing our wonderful planet, and it’s beautiful inhabitants, for more than half his life. Wilko has spent his life traveling the world to capture awe-inspiring images for those who wouldn’t see them otherwise – and to inspire others to embark on their journey of a lifetime. Visit him online at www.wilko.ca. Currently available for sale and in-stock at Amazon. Bookstore distribution expected last quarter 2014.